Looking for Massachusetts Condos Information? Here you go! Here's a great summary, by town, of some of the newer, larger, and more interesting complexes in Metrowest. This completed, 37 unit complex has wonderfully stylistic units, with brick and modern amenities. These old mill renovations are a rarity in Metrowest, so if you like this style, you should put Bigelow mills on your list. The Woodlands is a large, sprawling complex carved into the hlls in Cllinton. There are a wide variety of floorplans and styles, everything from significant multi unit buildings to duplexes, townhouses, garden style, some units have basements, and some do not. You can see many units in the Woodlands and not have a understanding of all the choices available! Although the original developers of the Woodlands were forced by the real estate pull back to sell part of the development back to the bank, it is likely that the new owners will be able to raise the capital to continue developing the complex. Fees are a little on the pricey side, (but you do get a lot for them) at the woodlands, and vary greatly from unit to unit. Bishop Gardens is a 112 unit complex has mostly has practical 2 and 3 bedroom units in popular townhouse style. They are usually 900-1300 sq feet. Bishop Terrace is a similar complex with similar units. Many of the units have basements, some of which have been finished. It is an older complex, and as such, some units have been updated and some have need to be. No garages here, all outdoor parking and it is tight with few open spaces. The units were not built with A/C either, so most do not have it. This completed, 168 unit complex has larger units up to 1700 sq feet. 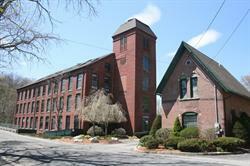 Many units have senic views of the Sudbury Reservoir, and terrific access to the Mass Pike. These units are garden style (1 level). There are no private garages, but there is a common area garage to which some units have deeded rights. 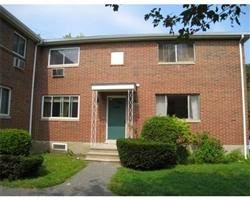 It is a high rise tower, and the fees can get large as they often do in high rise buildings, and vary with the size of the unit, but do include heat, hot water, and several other expenses.. Great Access to the mass pike, as the exit is right across the street. units have senic views of the Sudbury Reservoir, and terrific access to the Mass Pike. These units are garden style (1 level). There is some underground parking. It is a high rise tower, and the fees can get large, but do include heat and hot water, an inground pool, exercise area and other amenities. It is an older complex, and as such, some units have been updated and some have need to be. This completed, 18 unit complex off of Concord St in Northeast Framingham gets Kudos from me. Why? They were built with Mansard roofs. If when you pull in the driveway, you want to feel that you own a special place, the curb appeal of these units will not disappoint. Having said that, the units at Victoria Gardens are all three levels of living, so they won't work well for folks who don't care for stairs. 1 Car garages, A/C are the norm, and the units are well appointed inside. Windsor Green is a completed, 200 unit complex that has practical townhouse units (two levels). There are no garages. The units are priced in the low 200's, primarily due to their size (about 1000 sq feet) and age (they were built in 1970). They are in a terrifically convenient location on the North side of Framingham. This completed, 258 unit complex has larger units up to 2000 sq feet, with accompanying garages. This complex is not an adult community, and it's young age, built in 2005, means that the units have modern amenities and styling. They are located in south Grafton, so they are a little less convenient to the pike than other complexes in Metrowest. This under construction, 72 unit complex has larger units up to 2000 sq feet, with accompanying garages. This complex is also not an adult community. Many of the units have 3 bedrooms but only 1 car garages, which is an odd choice, but may work for some folks. They have central air and basements, which I think are always a big bonus with condos. These units are located in North Grafton, and offer great mass pike access. This in process, 49 unit complex These units are designed with modern amenities, such as garages and A/C, designer kitchens, cathedral ceilings, and other features all in floorplans around 2000 sq feet. With many lots and units for sale, and prices under 500K, it should be a stop on your list if you are in the market for an adult community. Just a short distance from beautiful downtown Holliston. These units are on municipal sewer. This in process, 32 unit complex is another complex designed for active adults. These units are also designed with modern amenities, such as garages and A/C, designer kitchens, cathedral ceilings, and other features all in floorplans around 2000 sq feet. These units are single family units, . This complex is being built essentially in downtown Holliston, which should be a huge draw. These units are on a private sewer system. This in process, 72 unit complex is for all buyers. The units have different floor plans, some with master bedrooms on the second level, and some with first floor masters. With sales in the mid 350's, there's good value here for Holliston, but these units are selling quickly, and delivery for some units will be spring 2012. Some units may be available now. These units are on a private sewer system, but have town water. Fees are currently mid 200's. This luxury units being developed are very unique in the Metrowest Condo market. Offering significant contemporary features - open floor plans, vaulted rooms, and a large number of glass walls and skylights, these spaces are for the those who want something different. At over 3500 square feet, and over $600,000, they aren't small or economical, and provide a alternative for the high end condo buyers. Its a smaller 44 unit complex, and it is not finished. This complex is marketed as custom built, so other units may differ substantially from those currently being marketed. City/Water and Sewer. This young 66 unit active adult community has been completed, unlike many being developed in Metrowest. These units are often 2500 sq feet or so, with two bedrooms, and bonus space in the basement. 2 car garages, A/C and modern finishings. On the expensive side for inventory in this space, over 550K. This complex is under development and has many units for sale, in a location convenient to downtown Hudson. Typically, if there's a backlog of units, developers or builders may be looking to deal for the right customer. There's much competition in the area for this buyer, so do your research and options before you ink a contract! This active adult community (55+ and over) has 91 units and was built around 2005, so these units are nice and still "like new!" These units have open spaces and cathedral ceilings, modern amenities like two car garages, and A/C. Although the units technically have three levels, most of the living area is just on the main-level. Most units are two bedroom units. With a fee around $300, and recent sales under 350K, these units are practical financially as well. Water and sewer taken care of by the town of Marlborough! This complex is often marketed as single families. The fee is fairly nominal, and there are few "condo-like" amenities, so although technically condos, it may make more sense to think of them as single families with an HOA fee. (Home Owners Association Fee). Units are around 1400 sq feet, have a couple of different styles, and no garages. Prices have been near 200K. Like Bigelow Mills in Clinton, these condos have a lot of brick and beam and artistic charm. They are smaller, but well priced, and quite charming. This over 55 Community is under construction (2016) and will have about 80 units. There are many different styles, and have town water and sewer. Olde Village Square is a fairly unique complex both for it's prices, and it's "tight" neighborhood layout. You won't find many complexes with this mix of factors, and if you are looking for a luxury layout in a house-like condo without a lawn to worry about, this high end development may appeal to you. The condominiums at Thurston Place are stand-alone units that have approximately 2000 square feet or more, 2-car garages, A/C, and contemporary floor plans. The exteriors have nice detail and finishings. There are just 11 units in the complex off route 109, and the 'lots', like Olde Village Square, are very small. These units are under 600K, but may run more with options, and the fees have not been determined at this time (buyer beware...). Walden Woods is a 165 unit complex that is being developed. The good size units (approx 2000 sq feet) have cathedral ceilings, fireplaces and two car garages . Close to the Hopkinton line, located in North Milford. There are several plans available and lots to choose from as of this writing, The complex is not an adult community, and is generally priced near 400's. Zain Ridge is an under development mixed zone community of 70 units, where 18 have an over 55 restriction. These are two bedroom units with one bedroom upstairs, and the master on the first floor. These 1500 square foot units look small from the front, but with prices from the high 200's to the low 300's, they are certainly worth a look. Near the Holliston line. This 80 unit, not completed, under development community has floor plans that look quite similar to the complexes on America's Way Boulevard, in Ashland. It's the same builder, so that's probably not such a surprise. For around 300K, buyers get quite a lot, A/C garages, good sized family rooms and kitchens, but there are lots of stairs in this townhouse style, so that should be taken under consideration. Town Water, Town Sewer at this complex. This 32 unit complex, competed in 2004, has some attractive town house style condos, typically in duplexes (side-by-sides). 1500 sq feet and 1 car garages can be expected. Note, high tension power lines are near this location (see map), and are visible from the property. Town Water, Town Sewer at this complex. This 33 Unit complex has some units with pretty practical floor plans and units with basements. Basements are a great perk when condo buying, as many of us have too much stuff and limited areas to put it. These units were built in the mid 80's, and many still reflect the styling of the period (stained wood work, brass, etc). The units are typically heated with electric, which is offset a bit by the shared walls, limiting outside exposure. This over 55 Active Adult community is under construction and has 42 projected units. These units, like other in process condo communities, consist of fairly large sizes (2200+ sq feet or more) and modern amenities (2 car garages, A/C available). This complex has low fees (as of this writing) but new complexes often see their fees increase as time goes on. The units are typically duplexes, so you only have one "shared" neighbor. This high rise is Metrowest offers one of the few truly urban options for condo hunters. Although fees are terribly high, they may come down as this project continues to sell units and fill the nearly 215 units planned. Early buyers were lured in to vastly overpaying (the perils of buying direct, I'm afraid, you can read more here), but current prices are much better aligned with reality (with sales mostly in the 400's to 600's (2014). These units range from 1 beds to units with master suites, and some specialty units. As part of new Natick Mall complex, walkable access to stores and restaurants is the best in Metrowest. These units and their modern styling and location remain unique in Metrowest, and buyers will pay more to live here than properties of comparable size. (Parking at Christmas time will still be an issue, however.) It should be noted that the fees are about $1/sq foot / month at this writing, which is a lot. This 865 unit complex is one of the largest in Metrowest. Currently, owner-occupancy in this complex is under 50%, which may affect the purchase of some unit owners. Most units for sale are under 200K (yr: 2012), which is terrific affordability in desireable Natick. Units are typically small, however, with most units under 900 square feet, and most are under 800 square feet. Conveniently located off 135, they offer great access to much that Natick has to offer. This 9 unit complex is new construction. These extra large luxury units, at over 2700 sq feet, come with 2 car garages and lots of other amenities, but also come with a very Natick like price tag above $600K (yr: 2012). These 3 bedrooms units with colonial like floor plans are going to appeal to families looking for space and new construction at a good price in Natick. This 268 unit complex is new construction. Streets include Allison Way, Morgan Drive, and Sienna Way. There are different types of units at these complexes. Some large luxury units, at over 2000+ sq feet, come with 2 car garages A/C, Master Baths and 3 Bedrooms. Note that the master bedrooms are typically on the first floor, with two bedrooms upstairs. These homes are built by Pulte. Prices are north of $600K (yr: 2012). There are some smaller options with fewer amenities on Morgan drive, where you have 1700 sq feet, no garage, and a single level of living (garden style). These units sell in the mid 300's-400's, depending on size. (yr. 2012) Town Water and Town Sewer at this complex. This 335 unit complex is very similar to Natick Village. Streets include Walden, Squire, and Thoreau. However, most of the units are 1 bedrooms, with some two bedroom, garden style apartments. Many units for sale are under 200K (2011), which is terrific affordability in desireable Natick. Units are typically small, however, with most units under 800 square feet, and most are under 750 square feet. Conveniently located off 135, they offer great access to much that Natick has to offer. Many of these units have high tension power line visibility. This complex has some small, apartment style units under 700 sq feet. But they are also quite affordable, trading at 140K-180K or so, depending on condition (yr 2013). They are typically 1 and 2 bedrooms. There are also larger 900 sq foot 2 bedroom units in this complex, and they will sell between 200-250. There are 318 Units, and they have a tennis court! Fees are typically in the $300-360 range depending on size of the unit. Most of the units have heat pumps, which give heat and A/C (electric heat, but that's OK for smaller units), and town water, town sewer. Shining Rock is a newly completed complex that abuts a golf course (appropriately, Shining Rock Golf Club). There are 68 units, and most units are 2 or 3 bedrooms, 2.5 baths, and have today's modern amenities. It is NOT an over 55 community, so these units are available to everyone. With around 2000 sq feet, there's plenty of room for expansive singles and families too. Sale prices vary widely but are in the 300's, depending on size, location, and finishings. Marston Heights is an under-development 59 unit complex that is primarily ranch style where the units are attached (via the garages) like duplexes. They are 1500 sq feet or so, with 2 beds and prices under 300K - but options may push you over that. With some decent finish work, these units are very economical and have lots of features at this price point. Gas available, city/water and sewer too! Carriage Hill offers a luxury adult community close to Boston, and built and completed. These units offer space, amenities, and a large enough community to share expenses. With a surplus of brand new units throughout other towns in Metrowest, these units are trading at very good values, as they are about 8 years old at this time. Meeting House Lane is a 29 Unit complex right next to one of the best coffee places in Metrowest, The Red Barn! Actually for Java-happy folks, there are three coffee places (Red Barn, Starbucks, and Dunkin Donuts) all within easy walking distance. The units themselves are 1800 sq feet, close to Route 9, and have modern amenities, as the complex was built in 2007. Units often have two bedrooms, 2.5 baths, and 1 car garages. Central Air is also part of most units. Private sewer at this location. Complex is open to all ages, some units affordable. Prices in the mid 300's. 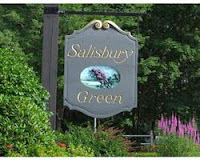 Southborough Meadows is an Active Adult Community (55+) located on the eastern edge of Southborough. 2 Bedroom, 2900 sq foot+ units are typical here, with 2.5 -3.5 baths. These ranch style units are a good choice for an over 55. It's a 26 Unit complex, and most units have central air. Built in 1997. Prices are around 300K. Vickery Hills is an Active Adult Community (55+) located in Southborough. 2 Bedroom, 1200 sq foot units are typical here, with 1.5 or 2 baths. These are large and spacious, and come with lots of good amenties as they were built in 2002 or later. They are between 575 and 675K, and many of the units have nice views. The new construction at Grouse Hill offers units in the mid 400's approximating 2100 sq feet and is still under development. This complex, like many of the newest complexes in Metrowest, is an over 55 Adult community, meaning that only purchasers with at least one spouse at the 55 Age or over is allowed to purchase the property. This over 55 adult community. These expensive, 700K plus units are 2500 sq feet or more, and come with few sacrifices. First floor master bedrooms, and units are attached. The complex has septic system/s and homes are energy star certified. This recent complex of 50 + units has some great townhouses with good functional floor plans (although the family rooms tend to be smaller). Some unit owners have finished their basements, but regardless, the units have basements, and any condo owner will tell you that is quite the plus. It is quite close to a rail line that passes through, and some units abut the rail line, so that should be taken into account when pricing the units. This 52 unit complex is still under development. With many units priced in the 300's, they are affordable luxury, offering almost twice the space of single families of a similar price. They have all the modern amenities of today's homes, including garages and A/C, but many units have master bedrooms on the first floor, which may not work for all families. This 132 Unit over 55 Community is still be developed. With recent sale prices under 300K, it can offer desirable living spaces at affordable prices. There are still numerous floor plans available. This condo complex is just under way, with 276 units projected to be built. These are going to be developed by Toll Brothers in stages, and at the moment they are focusing on the marketing of the larger units. These units are going to appeal to anyone who is currently renting in Westborough but would like to stay in Westborough - just with a mortgage. As noted in this blog, there are many things buyers need to be careful of when buying new construction, and I STRONGLY recommend talking to a new construction expert (like myself) before making any deposits. New construction is very expensive, be careful, it's not a toaster! Having said that, these units are going to be anywhere from 1100-2200 square feet in size, some will be town houses and smaller ones will be single level living. Fees will look cheap, as they do on all new construction projects. Located in the West part of Westborough, these units are very close (too close?) to the T-stop, but look to be on a nice parcel of land that will quickly be come a stop for most home buyers looking in Westborough. City Water/City Sewer, A/C and many other amenities will be available for those that need them. This completed, 52 unit complex is for those who like the amenities of houses, but prefer the low maintenance aspect of condominiums. These units were built in the early 90's, and can have two car garages, 2000-3000 sq feet, and other 'house like' features. There are not many complexes like this in Metrowest. Note that the maintenance does come with a cost, as fees can be $400- $600/month. This Active Adult Community has 100 units and was completed in 1999. Practical 1 level living is featured here, with attracted ranches being the dominant style. 1 Car garages and around 1500 sq feet, priced around 350K, make these units practical, if you can find one available. This Active Adult Community has 100 units planned. Like many of the under construction adult communities in the area, these boast cathedral ceilings, fireplaces, modern kitchens, A/C and garages. The condo fees are quite good, relative to the living area offered. Westborough is very convenient in all respects for amenities, highways, and offers a town with good resale. There are 158 units in Carleton Gardens. These older style units on Milk street are smaller, generally under 1000 sq feet, but are inexpensive for homes of any type in Westborough. With older style units on Mayberry street, this units are practical and affordable. These 2-bedroom units are usually under 900 sq feet and sell for less than 100K. There's 72 Units in Heritage, 31 in Rutters Brook, and . Fees range from $160-200. This 280 unit complex, still under construction, has appealing units and features for prices in the mid 300's. The units are being built with A/C, garages spaces, and master bedroom bath features. This is an active adult community (over 55), so those seeking to downsize may consider these units in this upscale neighborhood in Worcester. Pointe Rok boasts a gated, 80 unit community that was completed in the late 80's. With townhouse style units available, with square footage above 1500 sq feet, and plenty of amenities, these units offer actual luxury for less. with square footage above 1500 sq feet, and plenty of amenities, these units offer actual luxury for often less than 300K. 2Bedroom, 2.5 bath units, A/C, are all common amenities. Garages too! Higher fees (near $500/ month) keep the prices down. City Water, City Sewer.